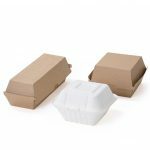 Kent Paper is your one stop shop for packaging supplies, dedicated to Australia’s leading food service outlets, bakeries, restaurants and cafes. 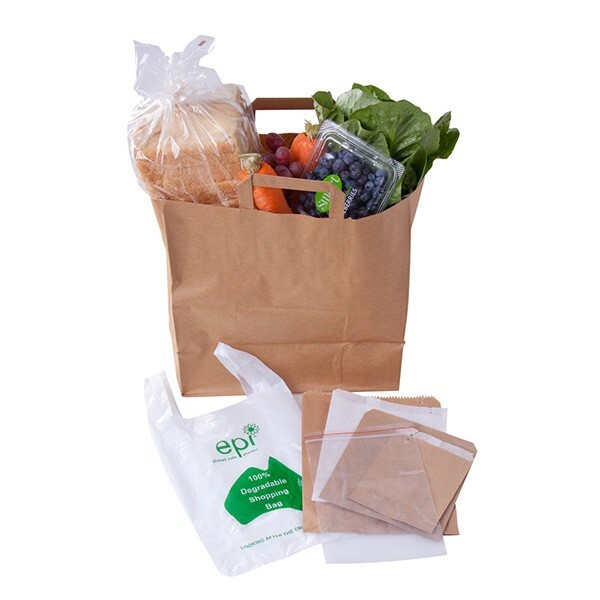 Established in 1956, we’re a genuine family owned Australian business known for the largest range of food packaging supplies, including paper bags and plastic containers. 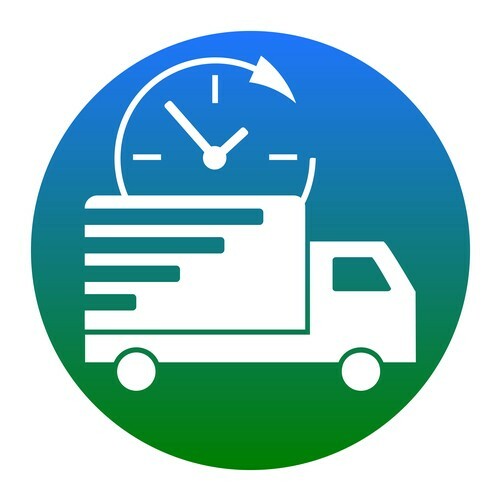 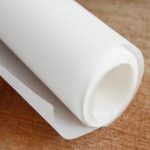 We pride ourselves on offering the best and most accessible customer service, which means you can trust us to provide fast and reliable delivery, and have our range of packaging supplies in stock at all times. 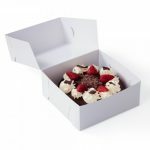 We strive to be on trend, presenting innovative packaging solutions from cake decorating and cupcake boxes, to a comprehensive selection of environmentally sustainable packaging. 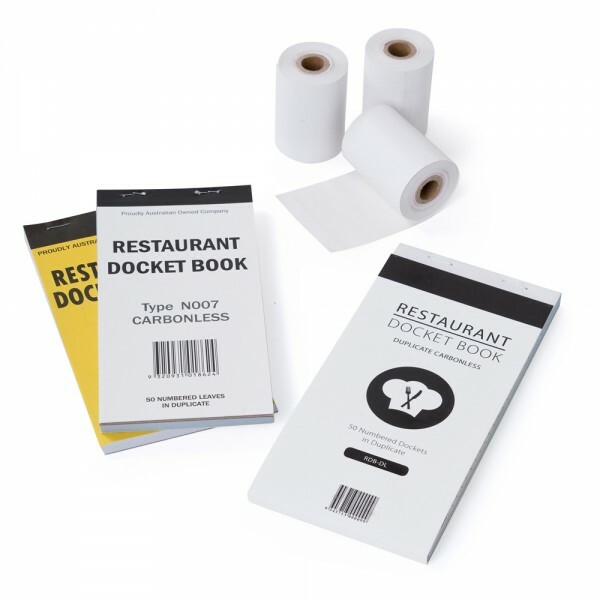 Through Kent Paper, we aim to make your food service business more efficient and more profitable. 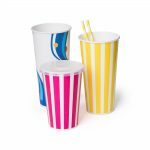 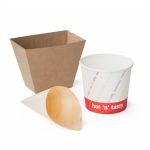 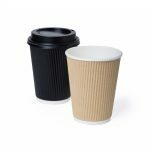 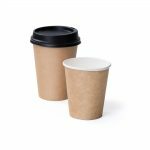 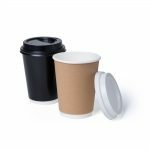 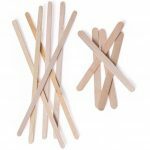 Cups & Straws: View our full range of takeaway paper, foam and plastic cups designed for hot and cold beverages including coffee and juices, as well as food packaging options for hot chips and ice cream. 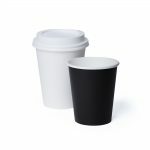 We have single and double walled coffee cups and different sizes available, so there’s a disposable cup to suit your catering needs. 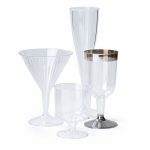 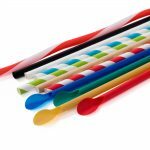 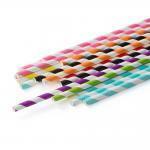 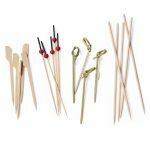 We have a matching selection of drinking straws, including cocktail straws, thick straws and flexible bendy straws. 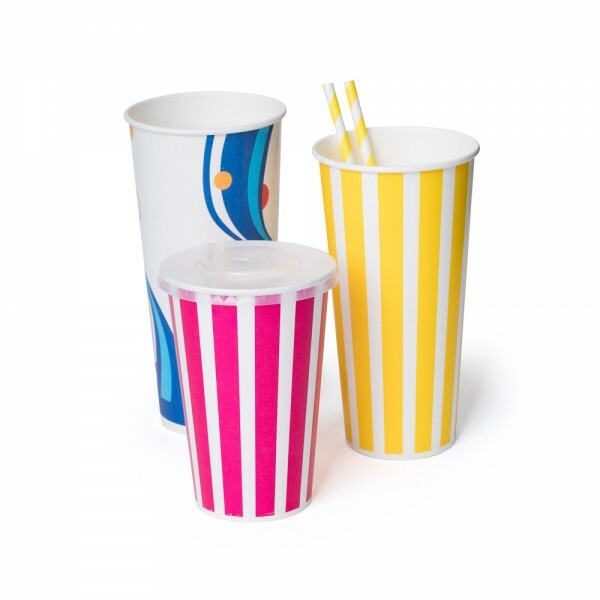 Our individually wrapped thick paper straws come in nine different striped patterns, and the plastic straw range comes in three sizes. 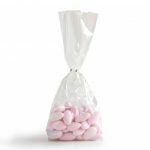 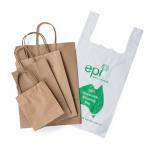 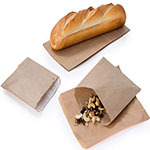 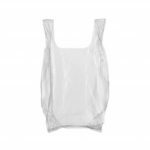 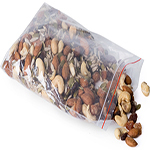 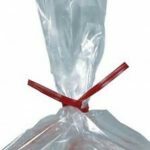 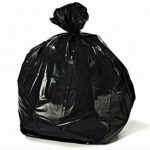 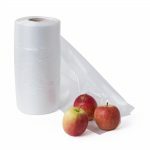 Disposable Bags: Our online range includes paper bags, plastic bags, cellophane bags, foil-lined bags, zip lock bags, sandwich bags, vacuum bags, garbage bags, and more to ensure we provide cafe and restaurant owners the right disposable bag to store food or provide customers with various takeaway options. 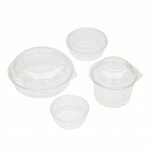 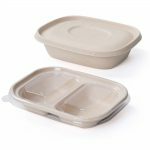 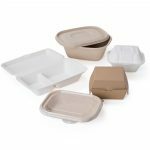 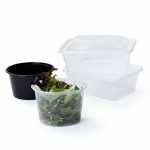 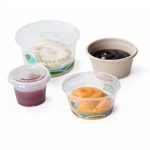 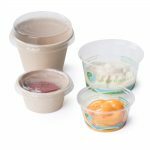 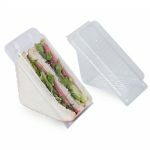 Containers & Food Boxes: Our disposable containers and Food Boxes include microwavable plastic containers for hot dishes, as well as options for sandwiches and salads. 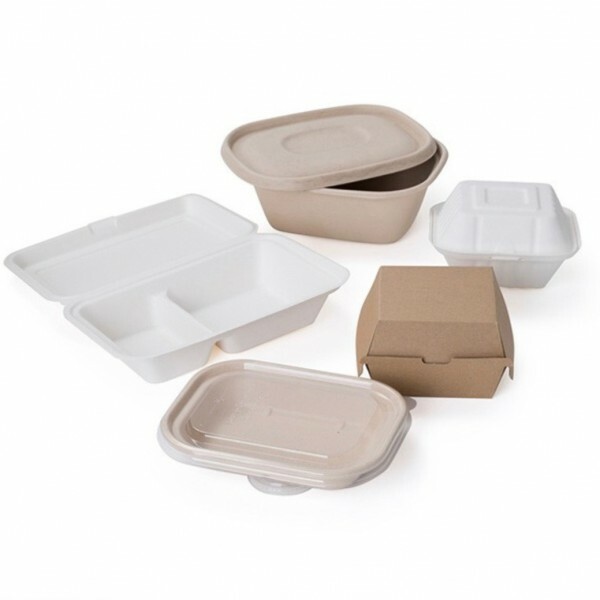 We stock foil containers, foam containers and an environmentally sustainable fibreboard range, all perfect for takeaway food. 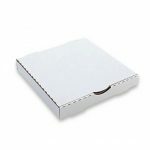 So whether you need a pizza box or you’re a bakery needing cupcake boxes or standard cake boxes, this is the only place you need to look. 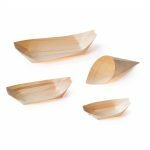 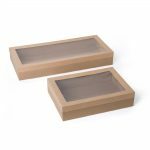 Food & Coffee Trays: We have paper trays, bamboo trays and foam trays for hot and cold food, as well as silver, plastic and aluminium serving trays for displaying platters or larger dishes. 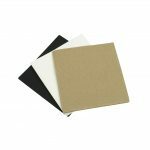 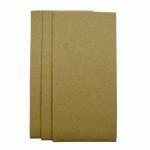 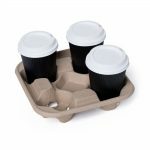 We also stock fibreboard coffee trays and fold up coffee tray varieties. 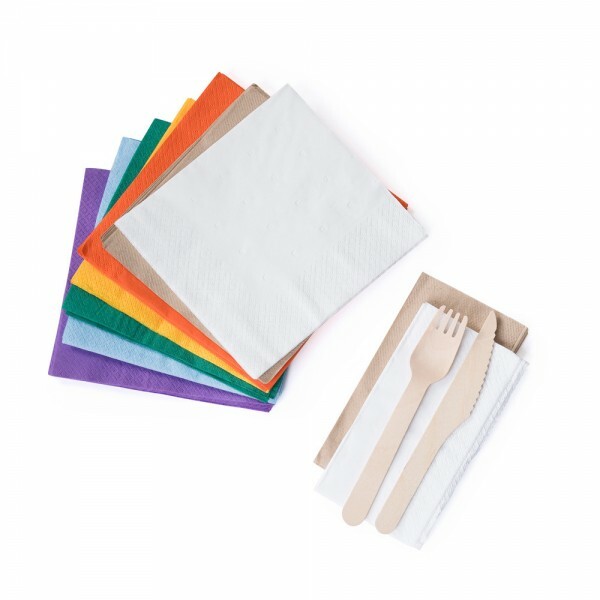 Napkins & Serviettes: Our range includes luncheon, dinner and cocktail napkins to suit all occasions and needs, made from high quality tissue paper and available in various shapes and sizes. 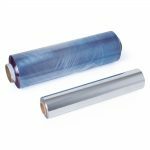 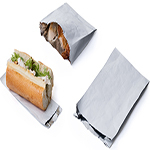 Foil Rolls & Cling Film: We supply a high quality range of durable cling film and aluminum foil sheets and rolls. 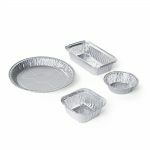 Our aluminum foil containers are Australian made and HACCP certified, available in a variety of shapes and sizes. 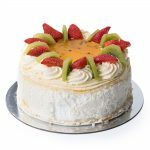 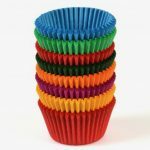 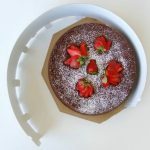 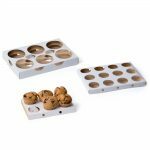 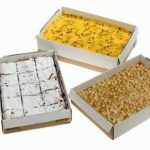 Bakery Packaging: We pride ourselves on a comprehensive range of cake decorating and bakery supplies that are of the highest quality, allowing wholesale bakeries to bake, serve and ship products in the same box. 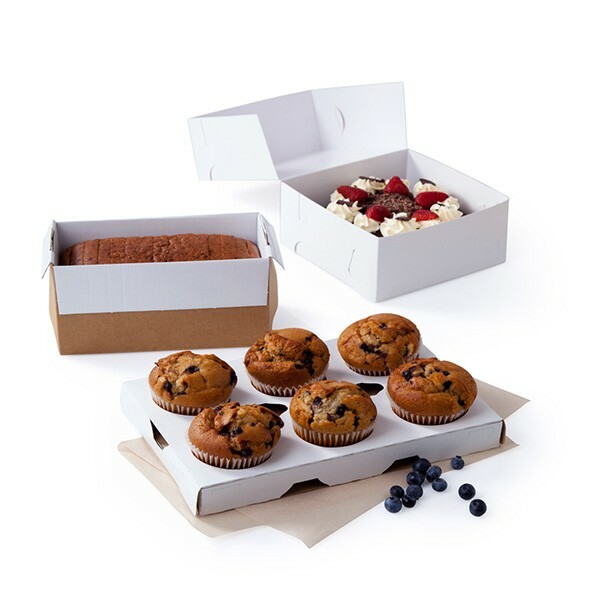 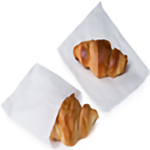 With the TrayBon range, there’s no need to use non-stick sprays or baking paper, making for a more efficient and profitable bakery business. 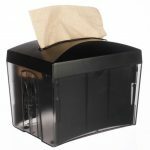 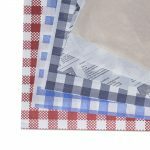 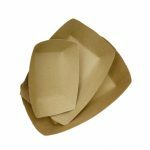 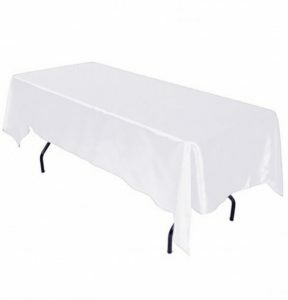 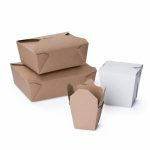 Wrapping & Table Covers: We stock a selection of corrugated moving boxes and cartons made from the strongest cardboard available in Australia, as well as bubble wrap and plastic air pillows. 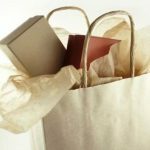 We also cater to gift-wrapping stores with a stunning choice of plain and patterned wrapping paper, an assortment of tissue paper, curled ribbons and raffia. 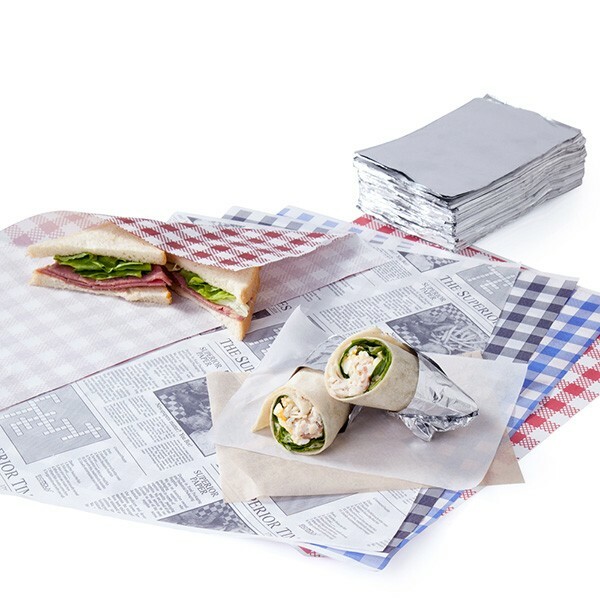 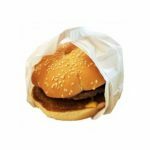 Additionally, we provide the food service industry with a collection of food wrap materials including sandwich paper, greaseproof paper and newsprint wrap. 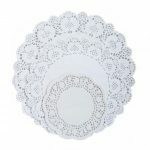 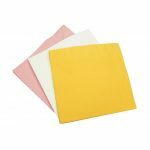 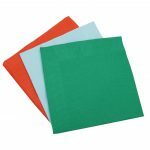 Whether you’re after individual table place mats or paper lace doilies, paper or plastic tablecloth rolls or table covers, we have different colours sizes available to suit your needs. 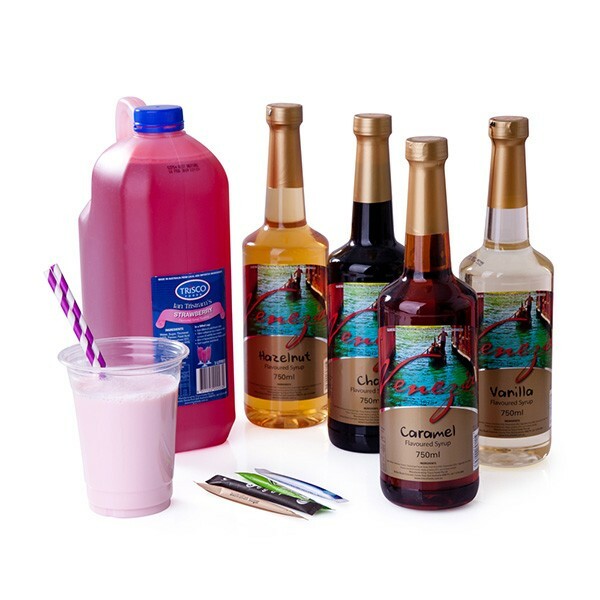 Sugar & Coffee Syrups: Keep your customers coming back for more and enhance your coffee menu. 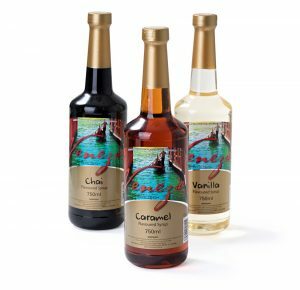 Our selection of intense long-lasting flavours includes chai, hazelnut, vanilla and caramel, and they all come in an iced coffee variety. 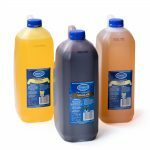 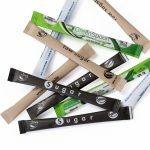 As well as a range of Australian grown sugar sachets, we also stock one litre raw liquid sugar that adds further efficiency to your service. 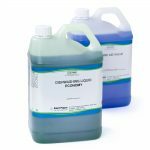 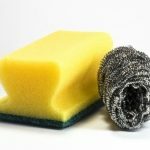 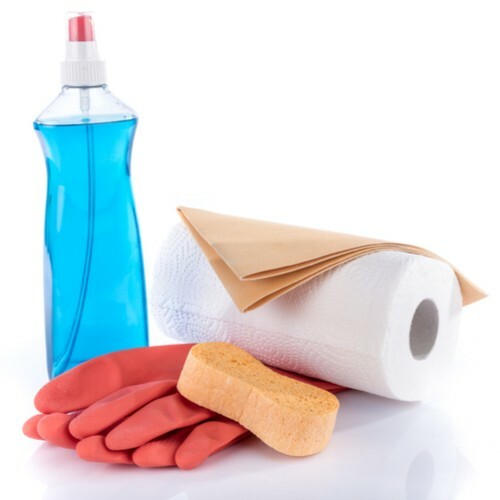 Cleaning Chemicals and Supplies: We know what it takes to keep your food service business highly sanitised. 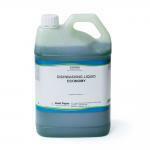 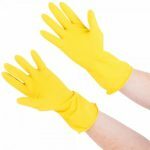 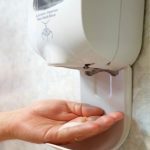 From hand soap to disposable rubber gloves, wipers, sponges and scourers, we also stock biodegradable detergents made from environmentally friendly and sustainable raw materials. 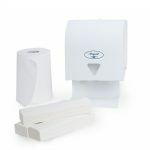 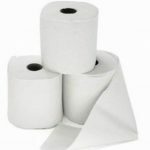 Hand Towels & Toilet Paper: We have perforated paper kitchen hand towel rolls for the kitchen, interleaved hand towels with a selection of dispensers, and toilet paper in sheets and rolls. 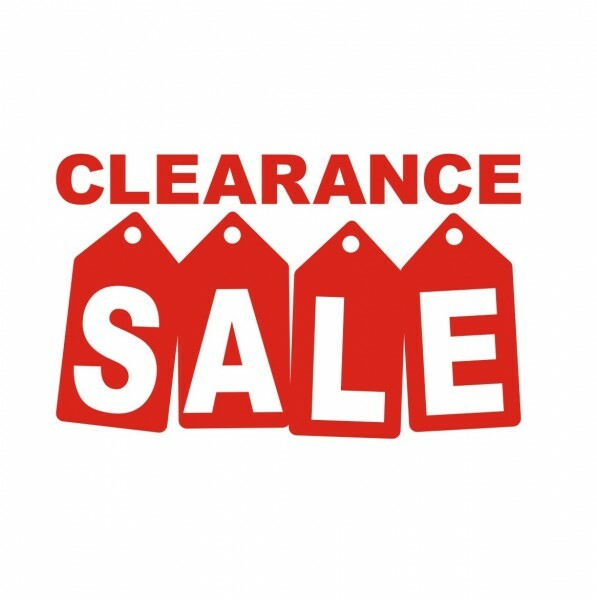 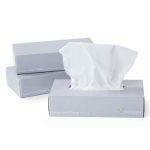 We also stock facial tissues and wet towels for your customers’ convenience. 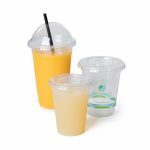 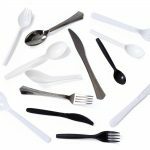 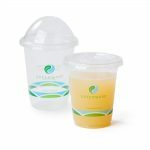 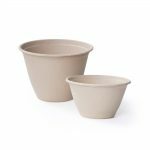 Eco Range: Help create a better future with our environmentally sustainable packaging supplies including eco juice cups, cutlery, coffee cups and plastic bags. 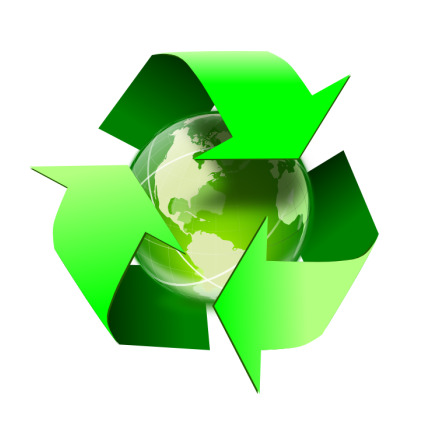 We source from certified manufacturers with a proven record for producing sustainable packaging that will safely breakdown into our environment. 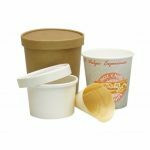 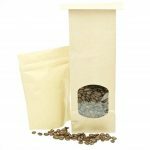 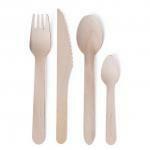 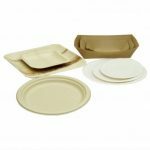 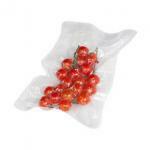 Our compostable products are designed to be kind to the earth and cost effective.